It’s a goal of every city to provide a clean and pleasant environment for its citizens to live and work, and a lot of money is spent ensuring this is the case. The waste management infrastructure for a large city is often both massive and complex, employing thousands of people and spanning hundreds of operations, all of which are working towards the goal of keeping the area clean and safe. The collection and disposal of municipal waste, maintenance of sewage systems, and development of urban recycling options are just some of the many amenities that make up a large part of a local authority’s budget. With the right amount of planning and spending, a city can ensure that it is a very pleasant place to live — its populace benefitting from low levels of pollution, aesthetically pleasing streets and public spaces, and a sustainable future. So which cities really excel at creating a great living environment? And how do they do it? There are a number of organisations that compile lists of the top cities for cleanliness in the world, chiefly taking in account factors like the drinkability of water, efficiency of waste removal, quality of sewage systems, and air pollution levels. But sometimes, that isn’t all that needs to be examined. In this article, we will take a closer look at three cities that have achieved high levels of cleanliness, but have adopted different approaches to getting there. 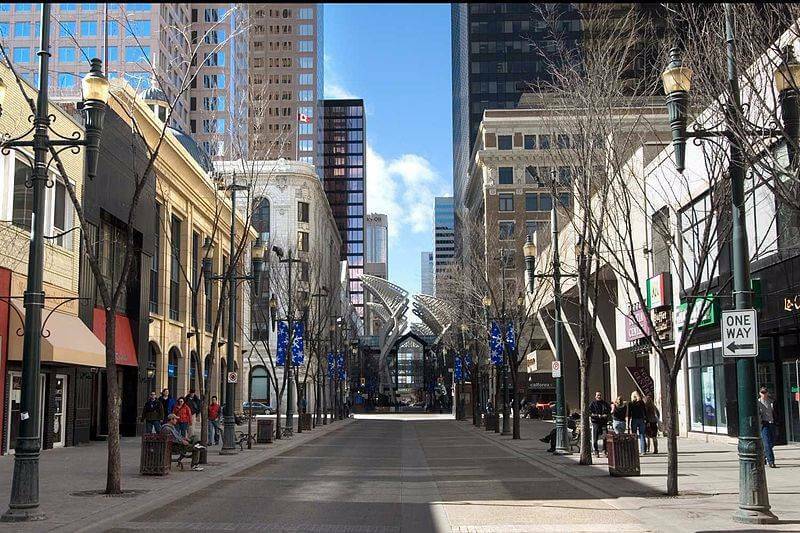 Calgary has featured heavily in quality of life and cleanliness rankings for the past few years, which has come as a surprise to many, as it is the centre of Canada’s oil and gas industries. The province in which it is located, Alberta, has the highest emissions of greenhouse gases in the country at 273.8 megatonnes of carbon dioxide equivalent per year (according to 2014 government figures). However, the city has implemented a number of sanitation measures and eco-initiatives in recent years that have ensured that it has remained relatively untouched by these high industrial outputs. One of Calgary’s leading lights is its ‘Too Good to Waste’ programme, which was introduced by the city in 2007, with the aim to reduce the amount of waste being put into landfills by separating and recycling certain materials. Landfill sites are expensive to create and run, as they need systems that prevent harmful substances from contaminating the air, land, or water. The bill for running them in Calgary threatened to spiral into the hundreds of millions of dollars, so a greener alternative was found. The city’s housing boom of the early 2000s meant that there were a lot of leftover construction resources, like asphalt, drywall, concrete, wood, and roof shingles, that were all re-usable in some form or another. The city decided that adding them to the growing landfill sites made no sense, and instead made sure that these materials could be separated and processed, before being used in new building projects. In 2010, Calgary made a commitment to divert 80% of waste away from landfill sites by the year 2020. The city also tried to reach out to its residents in the hope that they would also embrace a more sustainable future. They created the Green Calgary website, which provided essential advice on making environmentally conscious decisions that would help to clean up the city. The advice provided included how to compost, how to pack a litter-less lunch, and what can and can’t be disposed of in a recycling bin. In addition, Calgary has also introduced a coloured bin system, with blue, black, and green colours representing separate bins that certain waste should be stored in. The green bins are for yard and food waste that can go towards compost; the blue bin for paper, plastic, and cardboard; and the black is for all other household waste. The effectiveness of this system means that recyclables are sorted early on, and less time, effort, and money has to be spent categorising waste further down the line. The city has also adopted a more authoritative stance towards those that break the city’s laws on littering, introducing hefty fines for those that are caught. The penalties for violating these laws can range from CAN $500–1000 (~£300–600), and offences include not using a receptacle to dispose of waste, littering from vehicles, and the improper disposal of burning materials like cigarettes. These regulations not only ensure that anyone who breaks them is punished, but act as a deterrent to those considering doing so. Calgary also puts much effort into maintaining the pristine conditions of its streets. Every year, the city undergoes its ‘Spring Clean-up’, a comprehensive street-sweeping programme that takes place between April and June. During this period, over 15,000 km of paved roads are thoroughly cleaned to keep the city clean and safe for pedestrians, motorists, and cyclists. 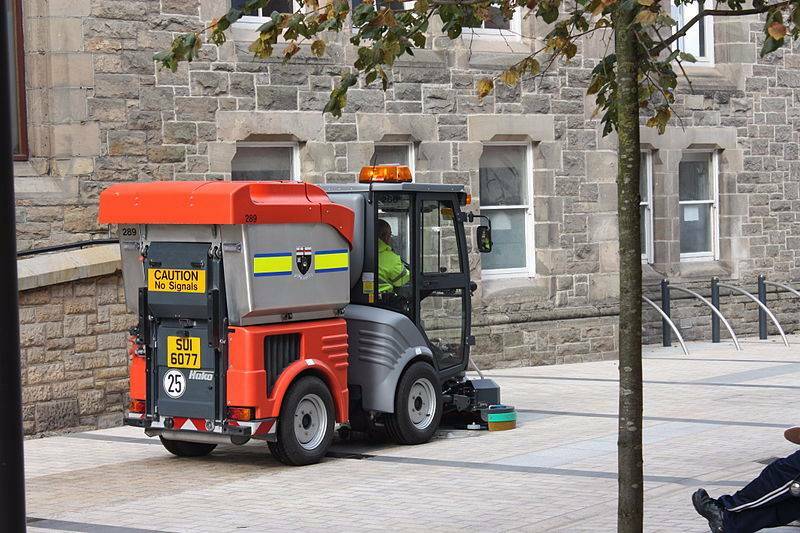 Residents are kept up to date throughout the programme, and they are expected to remove their vehicles and bins from the street to ensure that cleaning teams can get full access. 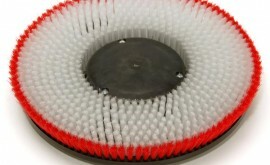 As well as removing any grime, the clean-up also prevents the run-off of sanding materials and debris from entering the water system, lowering pollution levels. While the city of Calgary has excelled in its efforts to keep a clean city to date, the future looks even brighter. In 2013, the Mayor announced plans to build a CAN $133 million compost-processing facility which will produce high-quality compost from both food and yard waste collected via the city’s coloured-bin scheme. The facility, at 521 square feet, will be the largest of its kind in Canada, and will process up to 145,500 tonnes of waste each year. Construction on the facility began in 2015, and is on schedule to be completed in time for mid-2017. 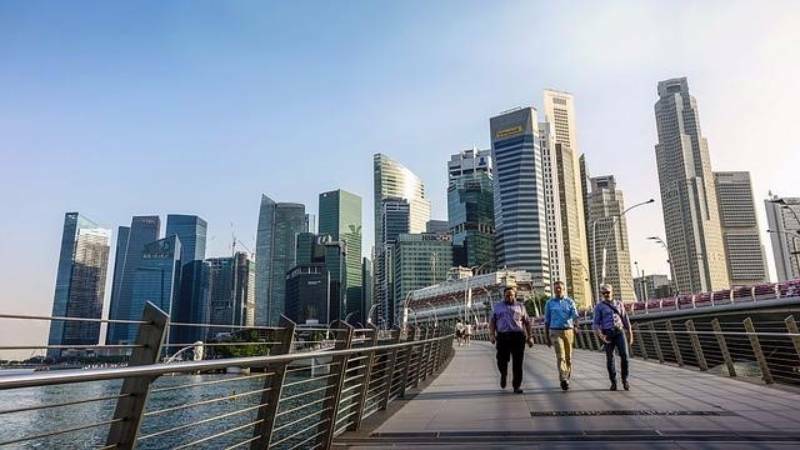 In the past four decades, Singapore has transformed itself into one of the powerhouse cities of Asia, becoming an important financial and trading centre, and offering its citizens a fantastic quality of life. It is also widely known as being one of the cleanest cities in the world, featuring highly on multiple publications’ lists when it comes to ranking for tidiness and sustainability. Just taking a walk around the streets of Singapore is enough to realise you are seeing a city that takes its waste disposal seriously, with not a spot of litter or discarded chewing gum in sight. 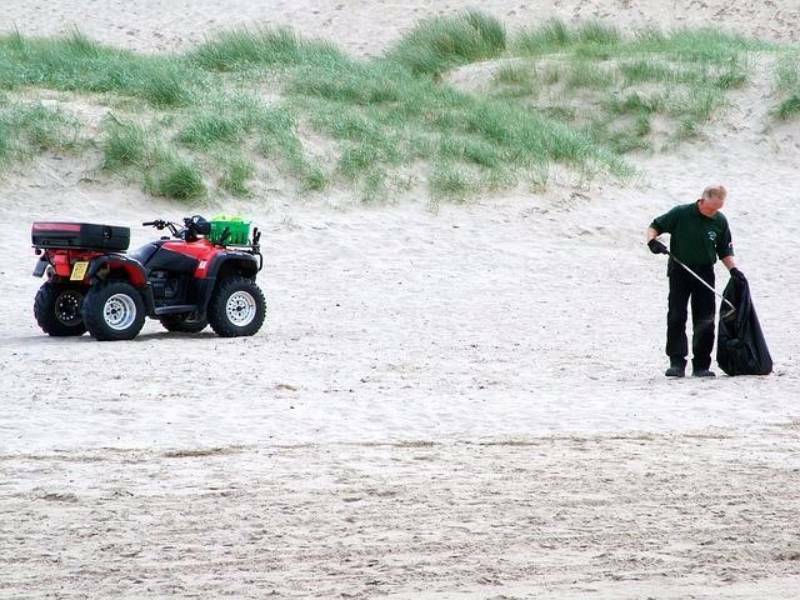 It doesn’t take a lot of effort to discover why this is either — the laws for littering are probably the harshest on the planet, and the fines for doing so are notoriously high. If you are caught dropping litter, you can face a penalty of SGD $1,000 (~£600) and possibly a community work order, which usually involves picking up rubbish. And, unlike many cities, these laws are actively enforced — evident in the presence of hundreds of plainclothes officers from the government’s National Environment Agency who patrol the famous shopping street of Orchard Road. Their sole job is to spot and stop anyone they see dropping litter on to the famously flawless boulevard. In all fairness, it is probably more difficult to leave rubbish on the streets of Singapore than it is to put it into a bin — countless receptacles in convenient locations are provided all over the city, which gives anyone caught no excuse for breaking the law. Singapore also has preventative rules too, with a strictly enforced ban on importing chewing gum into the country. Used gum is one of the most commonly littered items, and costs more to remove than general waste due to its ability to stick, cling, and mould itself to paved surfaces. 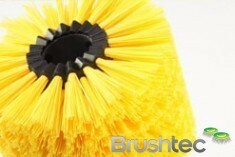 In the UK alone, the estimated total bill for cleaning gum is £60 million, at a pricey average of £1.50 per removal, according to the Local Government Association. In countries that allow chewing gum, the problem lies in the fact that it is cheap to buy and very common, but costs an excessive amount to clean. In Singapore, the ban has been in place since 1992, where vandalism to the city’s train network forced the government to act. People caught selling or importing gum were publically named and shamed as a deterrent to others, and gum disappeared from the shelves of stores. In 2004, after pressure from the Wrigley company, the USA was able to negotiate a revision of the law that saw medicinal or therapeutic gum, such as nicotine and tooth enamel–strengthening products, allowed through regulated sale. Buyers of these allowed gums must go to a doctor or pharmacy and provide their details before they are able to purchase it. Although these laws, among the many others in place in the country, may seem draconian to outsiders looking in, the citizens of Singapore may be inclined to disagree. The UN-commissioned World Happiness Report 2016 found that the country was the 22nd most satisfied nation in the world, one place ahead of the United Kingdom, which was in 23rd. The result made Singapore by far and away the ‘happiest’ nation in the Asia-Pacific region. A contributing factor to this satisfaction is the healthy lifestyle Singaporeans can generally enjoy, with a great healthcare system, first-rate public services, and low air and drinking-water contamination. The life expectancy in the city is 83.1 years (according to the World Health Organisation), the third highest on the planet, which shows that the government is definitely doing something right when it comes to caring for the health of its citizens. The more authoritative society of Singapore gives it an advantage when introducing new laws and schemes. The country introduced its first congestion charge system in 1975, which covered the central business area at the heart of the city. Through advancing technology and better planning, the system was expanded and upgraded to an electronic system in 1998, which sees fees applied automatically via an in built billing chip in vehicles. The electronic congestion charges have had a dramatic effect, with reduced levels of traffic causing a 176,400-pound reduction in CO2 emissions and a 22-pound fall in particulate matter. Furthermore, Singapore’s excellent public transport infrastructure means that people are not afraid to rely on buses and trains to get them around — 65% of residents use public transport to commute. The funds raised by the charges go towards developing the road network and improving transport, among many other purposes. Singapore’s congestion charge system is an example of something that the city-nation has done very well, and obviously plays a big part in keeping the city a tidy and healthy living environment for Singaporeans. While there are many aspects of governance that the city could be criticised for, keeping its streets and air clean is not one of them. While Calgary and Singapore are both cities that have access to large annual budgets for the upkeep of their streets, the capital of Rwanda, Kigali, has to make do with much more limited spending. Both Canada and Singapore are in the top 40 nations in GDP, according to the World Monetary Fund, whereas Rwanda ranks in 139th place with a figure that is only a fraction of both of these nations. However, the capital city has become renowned for its high standards of cleanliness, earning itself the affectionate title of the ‘cleanest city in Africa’. So how do they do it? 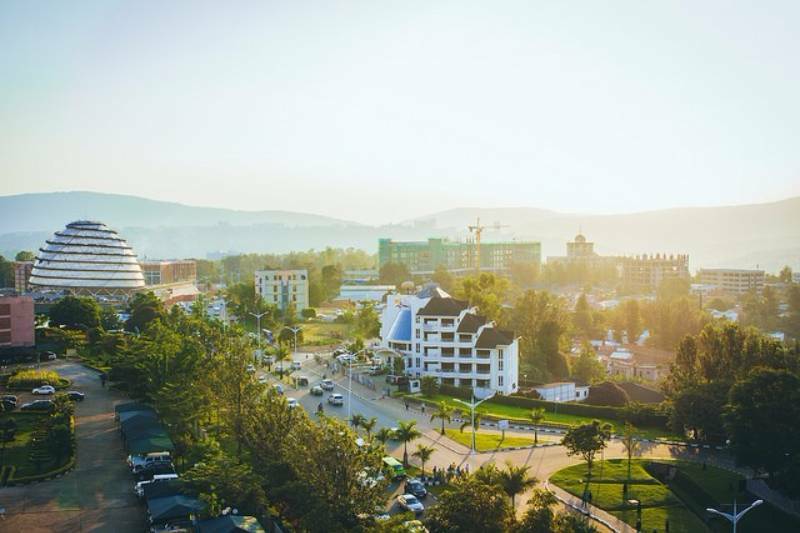 Compared to the other two cities in this article, Kigali is by no means a pretty picture architecturally speaking, with plain-looking concrete buildings making up a large part of the cityscape. Look closer, though, and you will see pristine lawns, clear pavements, and roads that are in excellent shape, considering the climate in a country located only 2° of latitude south of the equator. The secret behind this high level of maintenance is a principle that is encoded into the mindset of every Rwandan: umuganda. The concept of umuganda is part of the identity of the people of Rwanda. It translates roughly as ‘coming together in common purpose to achieve an outcome’, referring to a habit that Rwandans have of clubbing together when there is a time of hardship or a problem that needs solving. The idea can be traced back to before the country became a colony of Belgium, but it came to the knowledge of Western visitors in the 19th century, when it was noted that people were expected to put in two days of community work for their leader. The Belgians seized upon this idea and used it to encourage people to take more civic responsibility. Unfortunately, the message behind umuganda was distorted by the rulers behind the tragic genocide of 1994, who warped it for their own violent purposes. It wasn’t until 2000 that the country’s new president, Paul Kagame, re-introduced a more traditional version of the concept in an effort to clean up the broken country and to foster an atmosphere of healing and community spirit. Under his leadership, umuganda was made official as a nationwide programme, where on the last Saturday of each month, the country grinds to a halt for three hours as citizens come together to tidy up their villages, towns, and cities. This Saturday is known as ‘umunsi w’umuganda’, which translates as ‘contribution made by the community’, and every able-bodied adult between the ages of 18 and 65 is required to join in with the upkeep. Between 2007 and 2009, an act was passed that saw umuganda become institutionalised and protected by law. One of the great benefits of having such a culture is that, while the focus is on cleaning up, it also teaches a valuable lesson about causing a mess in the first place. After all, citizens are much less likely to make a mess if they know they will only have to deal with it later. This approach contrasts with that of Singapore — umuganda is something that is entrenched in the national psyche that many citizens believe in, rather than a law that is just introduced and enforced by the government. Although most approaches are very effective, Rwanda’s system does not need to be controlled by many paid officers, and, as a result, has a much lower cost to the nation. Rwanda takes this cultural mindset very seriously, shown in the blanket participation of all of its citizens. Even government officials and President Kagame himself can often be seen doing their bit to clean up Kilgali. It isn’t just the umuganda programme that is making waves in Kilgali, either. The mayor of the city has decided that more effort needs to go into educating the young about the importance of cleanliness and hygiene, and now the school system is using awareness lessons to focus the young minds of the capital on a future free of dirt and disease. This learning may well be the masterstroke that ensures that the next generation of Rwandans have as much pride and respect for their living environment as the current. There are also educational classes available to older citizens in local community centres. As part of this grassroots scheme, households are encouraged to equip their properties with waste disposal and hygiene facilities, and groups often come together to build larger communal facilities too. Kilgali also has its eyes on building a sustainable future, supported by the government’s investment in more public waste bins around the city and the continued ban on the use of plastic bags in the country as a whole. They have also launched Rwanda Vision 2020, which is an ambitious plan to help the country modernise with expansion of an improved infrastructure, as well as the improved public services, such as clean water, effective sanitation, and more efficient energy and transportation. They want to do this without compromising the sustainable stance that has benefitted them so far, with plans to expand for a growing population while preserving the lush greenery of the city’s surrounding area. With aspirations like these, you wouldn’t bet against ‘the cleanest city in Africa’ joining Calgary and Singapore on the accolades list in the future. The three cities that we’ve looked at in this article are examples of three different yet successful approaches to building clean cities that their residents can be proud of. The strict but impressive rules of Singapore, the innovative waste management of Calgary, and the impressive community-led sanitation of Kilgali are all fantastic examples that more cities should aspire towards. 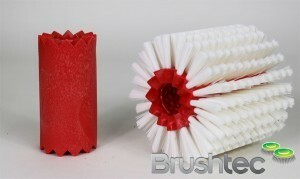 Here at Brushtec, we are one of the leading brush and brushware manufacturers for the industrial and municipal sectors. 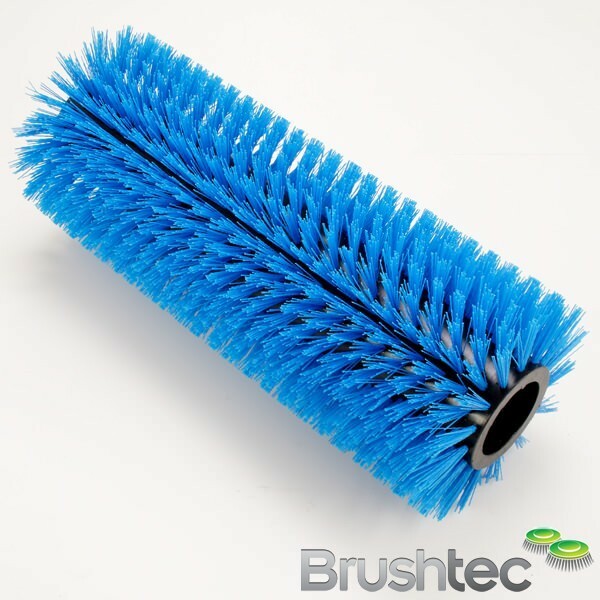 Our disk brushes and municipal brushes are used for a variety of different cleaning purposes, playing a big part in keeping the streets free of waste and debris. Our brushes are also made from 100% recycled polypropylene, which contributes to the sustainability of the industry — find out more here.